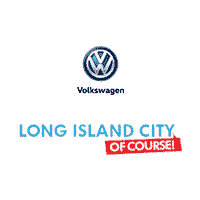 Whether you want to add a touch of exterior pizzazz to your Astoria commute, improve vehicle handling, or add a few practical parts to make cruising in your Passat around Woodside more enjoyable, you’ll find the performance parts and accessories you need at Long Island City Volkswagen. With just a few easy touches, you give your passengers the comfort and convenience they deserve while keeping your Volkswagen looking good. With parts made just for your vehicle, you can update the look of your Jetta or have your Tiguan ready to tackle the hills around Astoria with panache. And, because we specialize in Volkswagen certified parts and service, you won’t have to alter your vehicle or risk voiding your new car warranty to get a good fit you can count on. Your new Volkswagen is already turning heads around Bayside, but you can take it even further with OEM performance parts and accessories designed for the vehicle you drive. Contact our parts department today to learn more about the equipment available for your vehicle, as well as our coupons and special offers designed to help you save even more.